On behalf of the families and Scouts of Troop 1855 we welcome you to our Troop. Scouting is one of the largest and oldest organizations around and is immediately known and respected by people throughout the world. Troop 1855 and its leaders believe strongly in the character building that comes from following the Scout Oath and the Scout Law. In Troop 1855 we also put the “outing’ in Scouting with plenty of outdoor experiences and troop activities. Scouts get out of Troop 1855 what they put into it. Adult Leaders ask our Scouts to lead the Troop as much as possible, including planning and preparing for meetings, service projects and for campouts. Developing self confidence, self reliance and leadership are key goals of the Scouting program. In Troop 1855, we also strongly believe in parents’ participation in all Scouting activities. The youth who get the most out of Scouting are those whose parents are visible and take an active role in the troop. Parents’ service to Troop 1855 as a Leader or on the Troop Committee is critical to our program and the success of Scouting. Parents, your excitement in Scouting will parallel your scouts' and you will reap the many rewards that Scouting has to offer. Please review the Troop 1855 website. Our website contains current Troop information and many resources that will help you along the Scouting Trail. Again, welcome to the family of Troop 1855. Please do not hesitate to see me or any other leaders if you have questions, now or any time in the future. 1. Meets first Thursday of the month. Currently at Doyle’s across from DMV at 6:30PM. This meeting is also published in the Troop Web calendar on this site. 2. All parents are encouraged to attend the meeting and assist the Troop as needed. 3. Please send any agenda item suggestions for the monthly meeting by email to the Committee Chair at committeechair@troop1855.org. The Committe Chair will then publish an agenda prior to the meeting. 1. Meets first Monday of the month at the regular Troop meeting location - Journey Church. This meeting is also published in the Troop Web Calendar on this site. The boy leaders plan next month activities as well as for the upcoming outings. 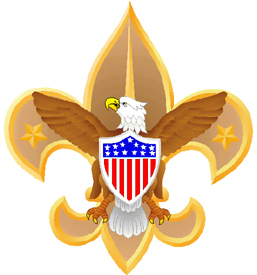 The troop meets to conduct regular troop activities on Mondays at 7:00 PM at Journey Church.